Westport, CT – Mott The Hoople legend Ian Hunter describes East Coast guitarist and singer/songwriter Doug Wahlberg’s playing as “not of this earth”. The Doug Wahlberg Band has been electrifying audiences for years, performing originals most cannot distinguish from main stream radio play. Their music features simple, melodic hooks, both gritty and laid back but always hypnotic and driving. These tunes will etch their way into your memory. 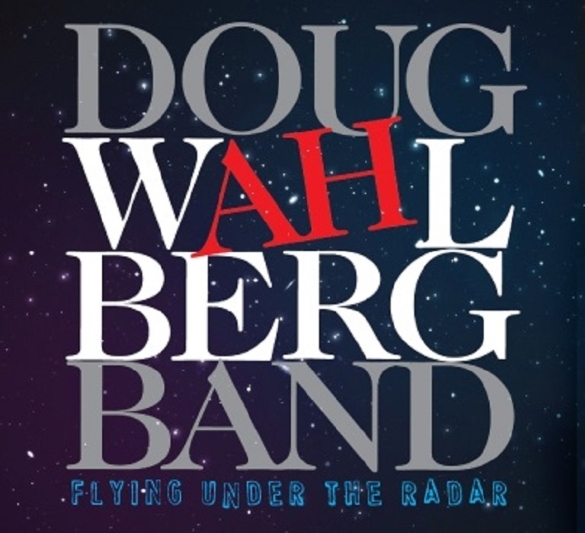 While reminiscent of British and American classic rock, The Doug Wahlberg Band brings a modern approach to a retro sound, which can be heard throughout their recently released debut album titled “Flying Under The Radar”. Band members have resumes that boast performances with the unparalleled talents of The Doors, Neal Smith of Alice Cooper Band, José Feliciano, and Ian Hunter. The band has opened for classic acts such as Paul Simon, Foreigner, George Thorogood, Blue Oyster Cult, The Ramones, Eddie Money, Rick Derringer, and Cheap Trick. Doug has worked on projects that included such legends as Rick Derringer, Elton John’s lyricist Bernie Taupin and Bowie’s guitarist and producer Mick Ronson. He has been managed by Lester Chambers of the Chamber Brothers and has even performed at a birthday party for which the guest of honor was Andy Warhol. The Doug Wahlberg Band’s music has traveled national and international air waves and been widely received in the college radio circuit. Members of The Doug Wahlberg Band have performed from coast to coast, as well as internationally, with concentrated club performances in New York City at hot spots like the Bitter End, The Cutting Room, and CBGBs, as well as East Coast venues like Foxwoods Casino, the Wolf Den at Mohegan Sun, and The Ridgefield Playhouse. They even bent the blues rules playing their own brand of rock and roll at the Montreal Festiblues blues festival. Doug Wahlberg – Doug plays signature Skeletone guitars, which have a unique body style and explosive tone. Doug has participated on projects with Jose Feliciano, Bernie Taupin (Elton John’s lyricist), Mick Ronson (David Bowie’’ guitarist and producer), Peter Tosh, and original Alice Cooper group drummer and recent Rock and Roll Hall of Fame inductee Neal Smith. In 2014 Doug played several guitar tracks on Neal’s critically acclaimed album “The Green Fire Empire”.